At the heart of Côte-D’or in Burgundy, you might already know the city of Beaune is for the annual wine auction held in the Hôtel Dieu. 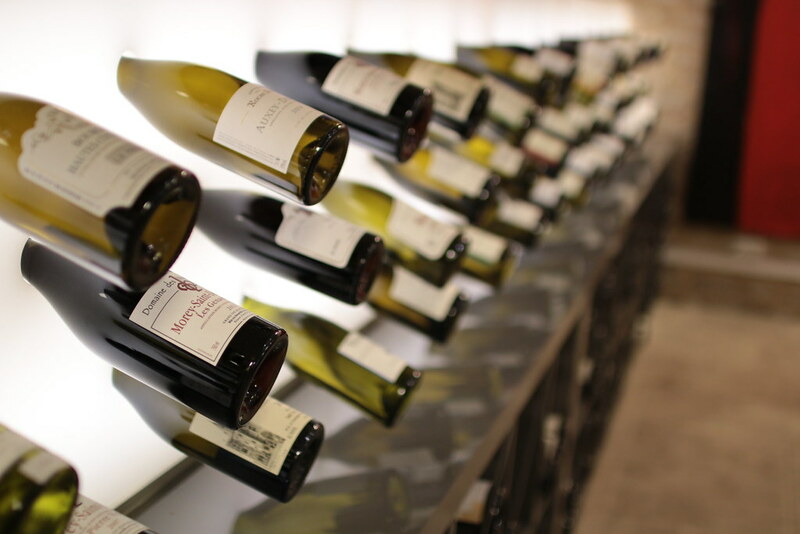 Winemaking is an important part of life in Beaune, since the city is surrounded by some of the most famous Burgundy wines like Meursault and Pommard. 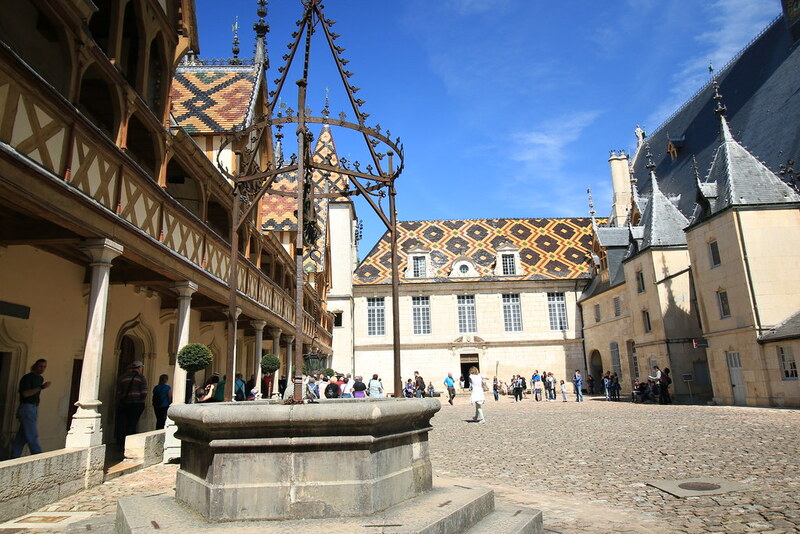 Let us guide you through our tour of Beaune and show you what we did ! The first thing we always do when visiting a city us simply walking around the city, without following a particular route. We just go with the flow and admire the architecture. 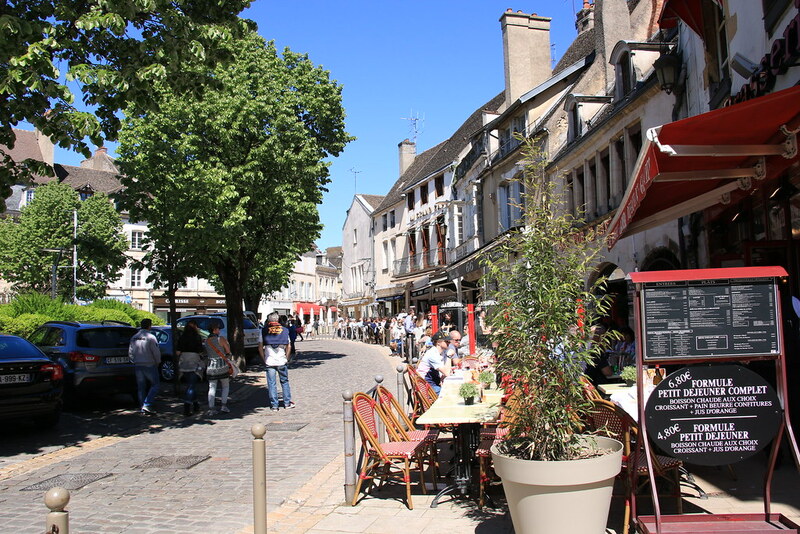 Beaune city centre is charming, on a sunny day like we had you can enjoy a glass of wine or a coffee on a terrasse watching people and sports cars come and go. Mustard is one of Burgundy’s specialties. 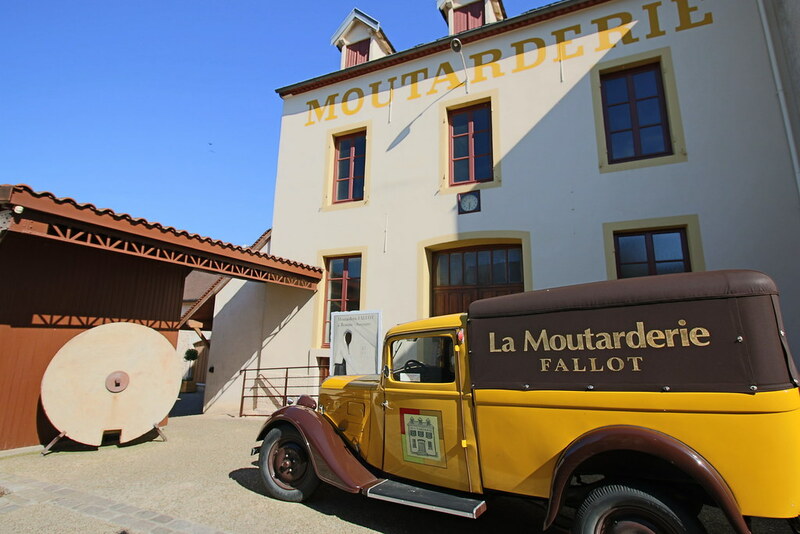 The Fallot Mustard factory, created in 1840, is the last independant and family mustard mill in Burgundy. Their specificity is to make mustard using traditional methods : grinding the Brassica seeds in the stony grindstone. A method which insures that all the gustative qualities of the mustard are preserved. 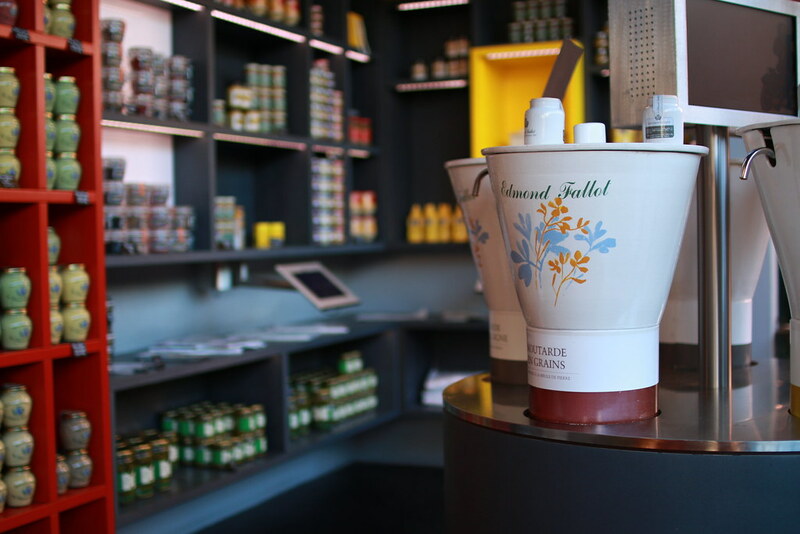 We followed the ‘Sensational Experiences’ tour of the factory, getting a sense of the methods and tools used for mustard making, learning about every steps of the transformation of the mustard seed into the mustard paste : from the storage silo to the packaged product. 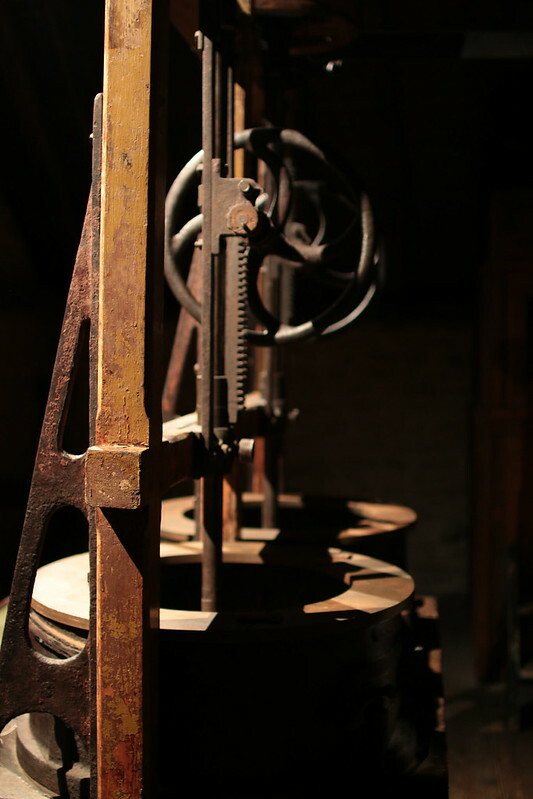 But you can also follow another tour, the ‘Discovery Tour’ in which you can admire ancient tools and machines, displayed in a scenographic area dedicated to mustard manufacturing. We found the guided tour was quite enjoyable and interesting, it helped us understand the process of making mustard, which I actually never thought of (I don’t think I actually knew what mustard was made of… hum). And of course you get to taste mustard at the end of your tour ! (Photographies inside of the actual manufacturing area are forbidden in order to prevent professional spying). More informations : Moutarderie Fallot Website. 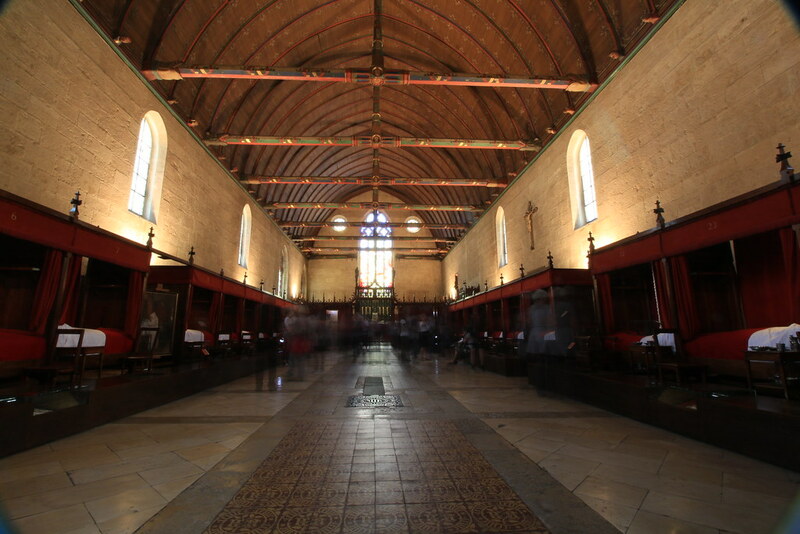 The Hospices de Beaune were founded in 1443 by Nicolas Rollin, Knight Chancellor of Burgundy as a hospital for the poors. At a time where religion was an important part of life, helping the sick poors was a way to insure oneself salvation for all eternity. 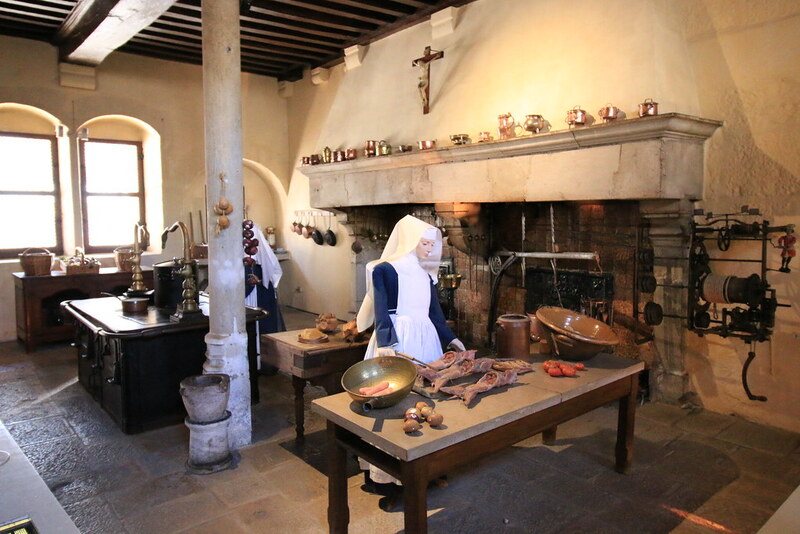 The hospices de Beaune have now modern buildings but you can visit the ancient buildings, the Hôtel Dieu which is now a museum displaying the sick poors infirmary room, pharmacy, kitchens, etc. 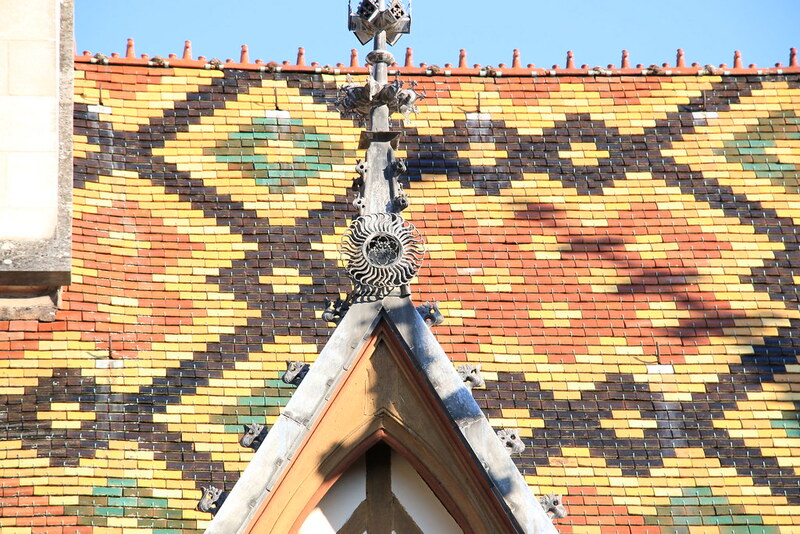 The glazed tiled roof of the Hôtel Dieu can be seen from anywhere in Beaune and is a beautiful example of 15th century Burgundian architecture. The courtyard is the most breathtaking part of the Hôtel Dieu, I could spend countless minutes just seating there, gazing at the architecture, spotting little details. The sick poor room displays 30 beds, just like it was arranged at the time, 15 on each sides. The nones were caring for the poors, while living on the upper floor. The rooms are staged with objects and wax statues to bring the place to life. I like visiting museums that display the way rooms were used, it’s always so much easier to imagine how people were living and working. 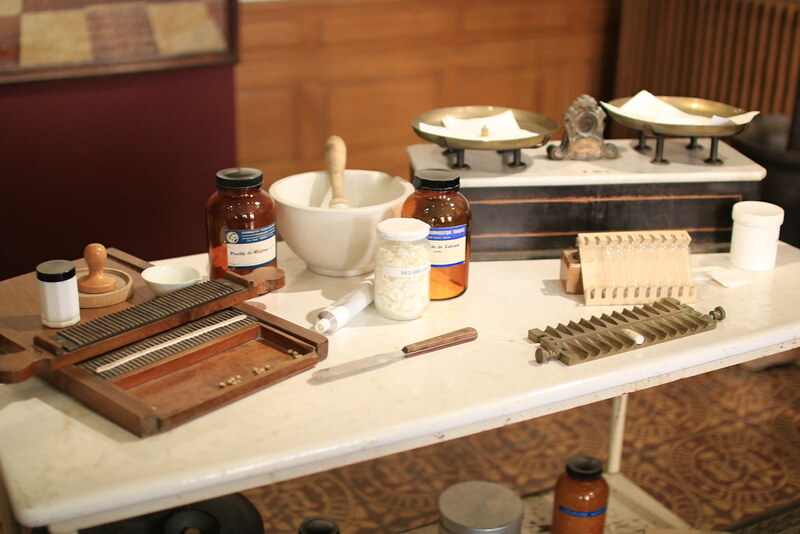 In the pharmacy, most of the equipment used is on show, like the suppositories and medecine jars displayed in the cabinets. The kitchen is also filled with ustensiles and statues. The museum keeps the best part of the end of your visit (at least that was the best for me !) 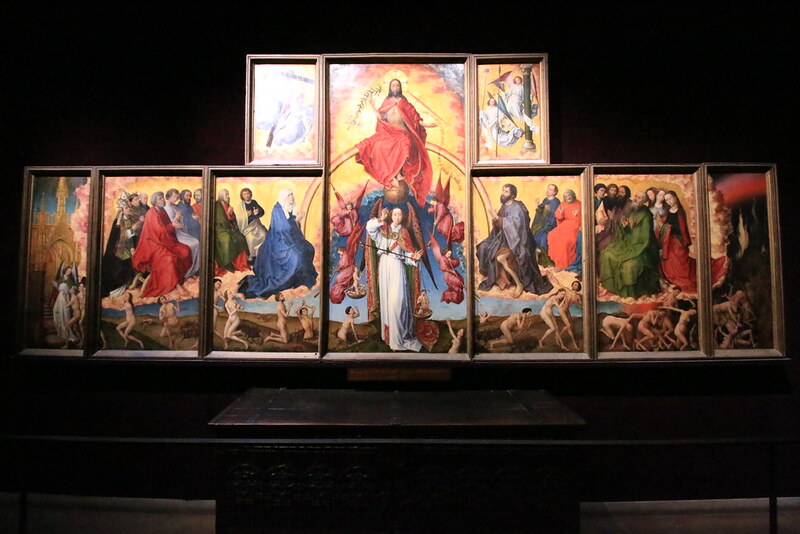 : the Beaune Altarpiece, Flemish painter Rogier Van der Weyden’s masterpiece, the Last Judgement. 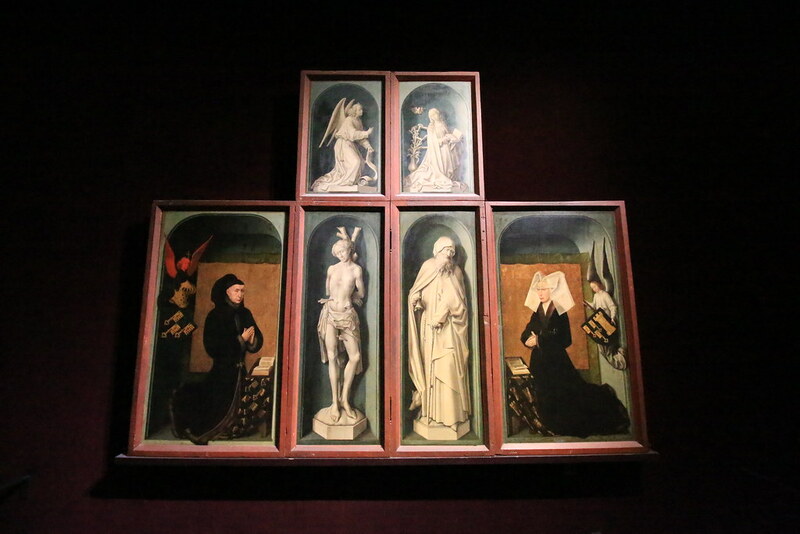 Although it has suffered from paint loss the restoration work allow the art lover to appreciate the details and beauty of this polyptych. 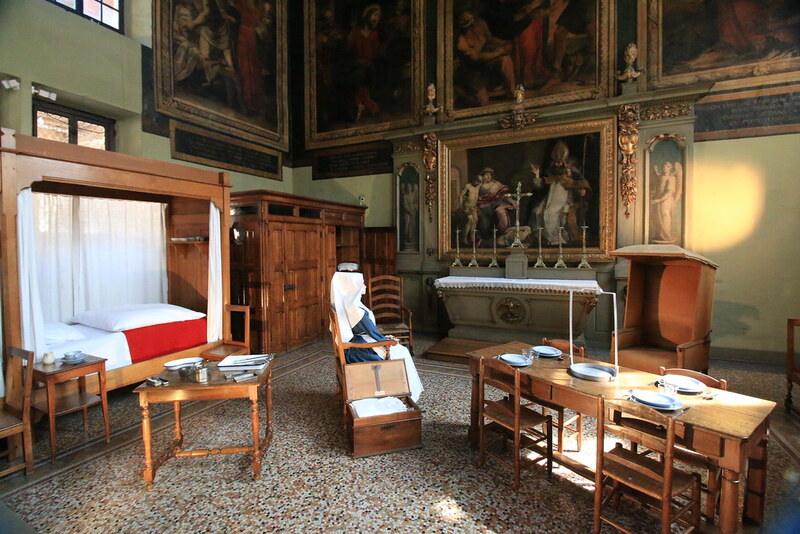 It was originally positioned above the altar in the chapel located next to the sick poor room, and the shutters would only be opened on Sundays or church holidays. The hospices own vineyards since 1467 and host a wine auction every year in november, it would be a great occasion to visit Beaune and the Hôtel Dieu ! Right next to the Moutarderie Fallot, we stumbled upon the Café de France and couldn’t be happier to find this place. Beaune can be an expensive city and finding a 4-courses menu for 13.80€ is rare ! Not only the food is more than affordable but it is made and served with love. 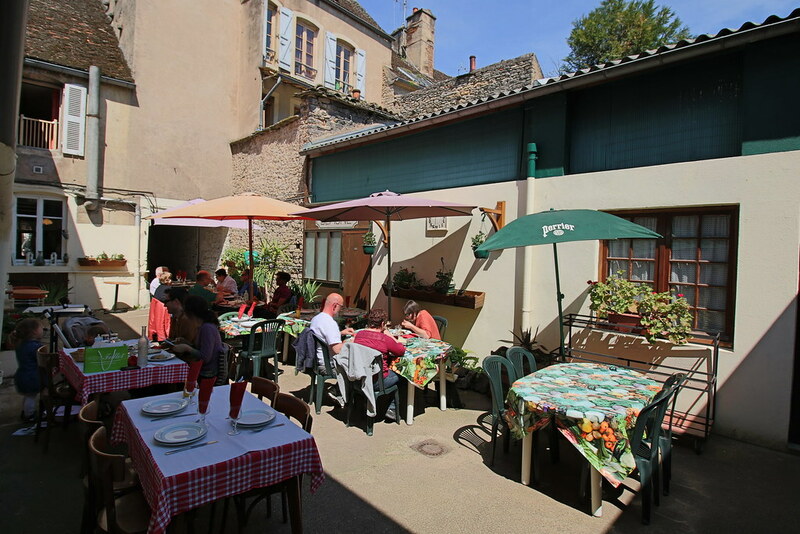 The Café de France is a family owned friendly restaurant, offering homemade traditional cuisine. 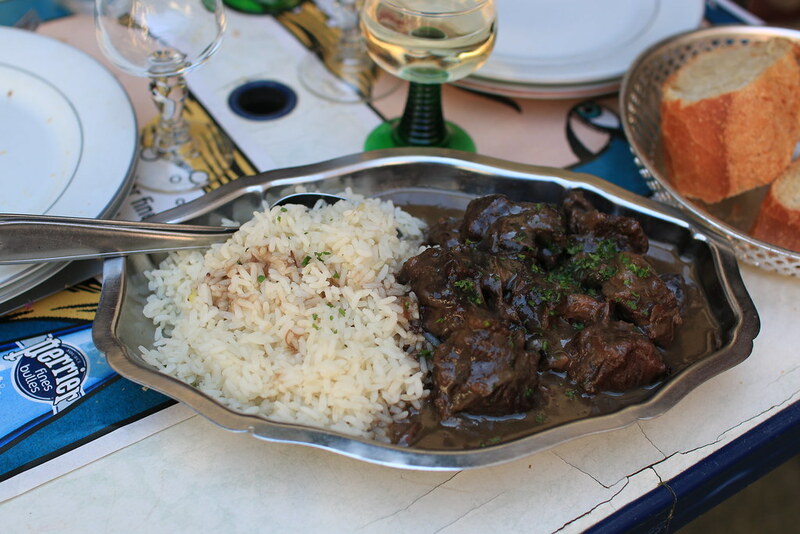 We tried the famous Boeuf Bourguignon, a Burgundy traditional beef cooked in red wine, as well as local cheeses and wine. They also have a courtyard which is great when the sun pops out and for those of you travelling by bike, very useful ! If you like trying local food, friendly service all that for a more than affordable price, then head to the Café de France and say hi from us ! Wine tasting is an art and one that demands a lot of training ! French wines are very different from one region to another, what you learn about Burgundy wines cannot be applied to Bordeaux wines. As French people, tasting wine is part of daily life and education. Even as kids, our parents used to make us try some. But that doesn’t mean every single French person is a wine expert ! It was our first introduction to wine tasting and we learned so much about tasting wines in general and Burgundy wines. 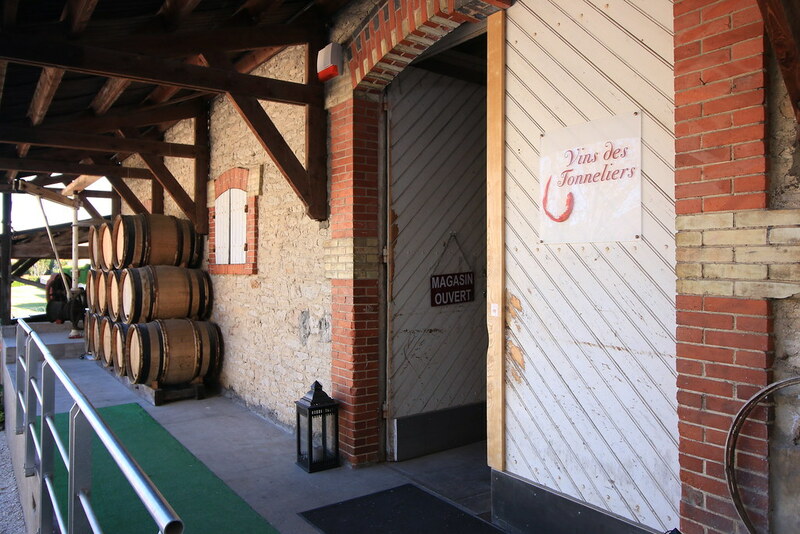 Vins des Tonneliers are located just a few minutes away from Beaune city centre and definitely worth a detour. We were welcomed by Germain, who was able to adapt to both our levels of knowledge in wine. Antoine is a fine connoisseur, but as for me, I am always lost when it comes to choosing a bottle in a shop ! Germain taught us the basics of wine tasting : how to properly taste your wine (looking at the colour, first nose, second nose after swirling the wine and the mouth), and also a lot about wine making history in Burgundy. 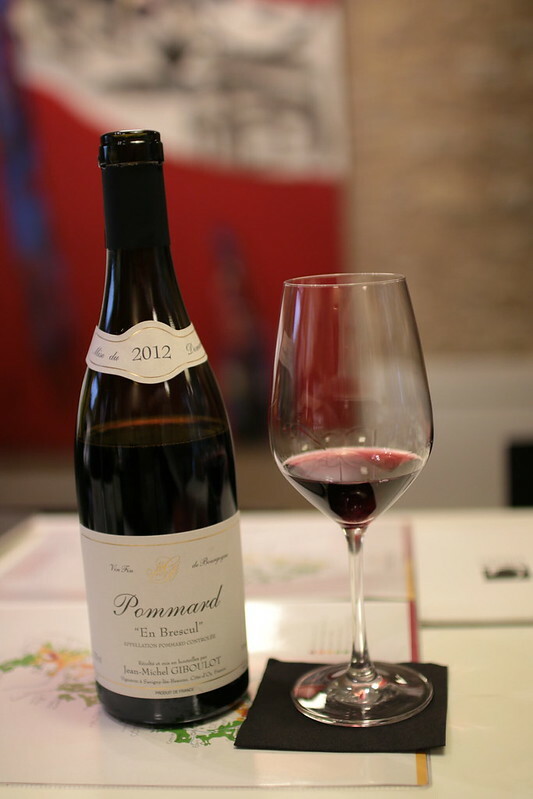 We got to taste some great wines like Pommard, while tasting some local Burgundian dishes like “jambon persillé” (parsley ham). We learned a lot about Burgundian wines and appellations, which are quite complex to understand, but it all seemed clearer at the end of the day. 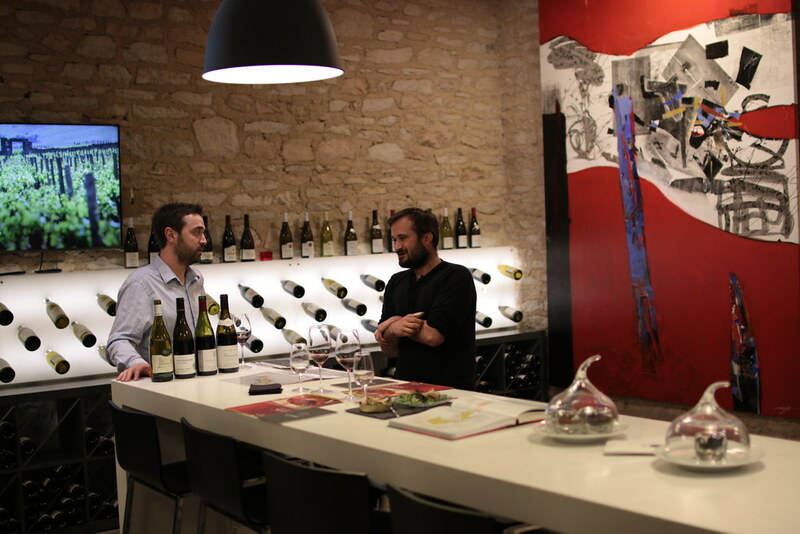 If you want to learn more about wine and are planning a visit to Beaune, then don’t hesitate and contact Vins des Tonneliers in Beaune for an introduction to wine tasting. 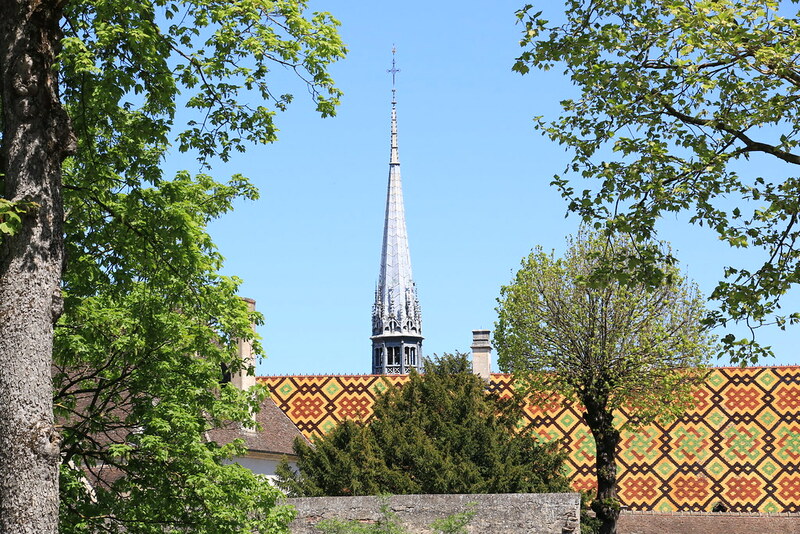 There is a lot more to explore around Beaune, but at least if you are planning to go for the week-end, not only it is easily reachable from any city in France by train but it is easily walkable once you get there. 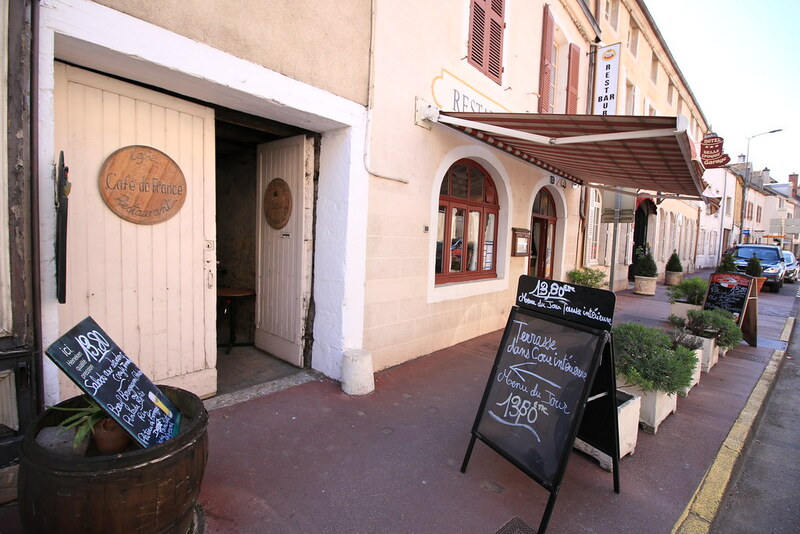 For the wine lovers and culture enthusiasts out there, it is definitely a must do in France ! 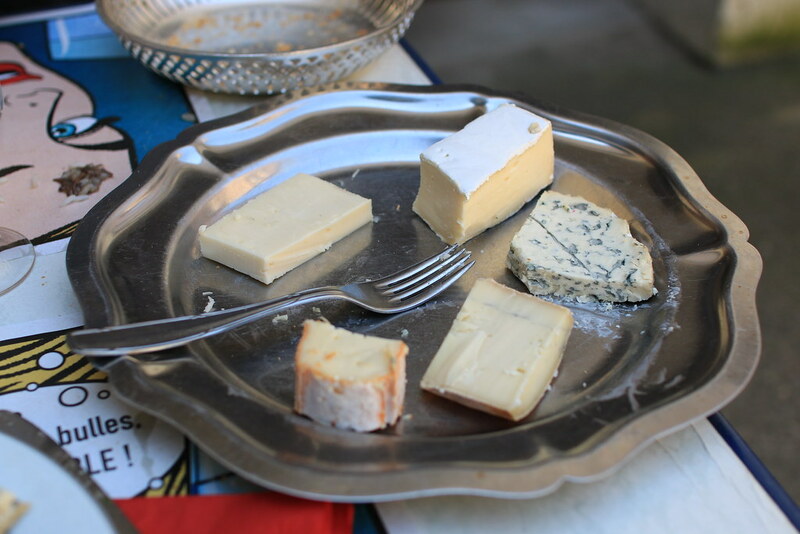 Have you been to Beaune before ? What did you think ? Tell us in the comments below !